R. (Rob) Klein advises numerous entrepreneurs in the area of (international) contract law in concluding various types of commercial contracts, ranging from simple trade contracts to complex forms of collaboration and acquisitions. He frequently represents these entrepreneurs in court cases involving the fulfilment and/or interpretation of such contracts. Rob assists his clients in structuring and documenting their relationship with suppliers, customers or strategic partners. He is not timid about litigating if necessary to achieve the desired result. 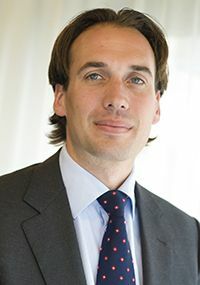 Rob frequently advises shareholders and directors and assists them where necessary in corporate litigation in disputes within their company (for example before the Enterprise Chamber of the Amsterdam Court of Appeal or in buy-out procedures). He prefers a practical and swift solution, with the focus on the interest of the company. In bankruptcy law Rob has broad experience as receiver/administrator of companies in varying sectors (construction, retail trade, IT, etc. ); he frequently assists companies in trouble from the perspective of prevention, but also in dealing with a suspension of payments or bankruptcy of suppliers and/or customers. Rob also has broad experience in the area of Directors & Officers liability. He frequently acts on behalf of or against them in (D&O) liability cases.